This week, like last week, I spent two full days working with the Library Services Fryslan’s Frysklab team. We sat down to in full detail document our work and thinking on the ‘Impact Through Connection’ projects. At the start of 2017 we did a first pilot, of which the design was based on my networked agency framework. 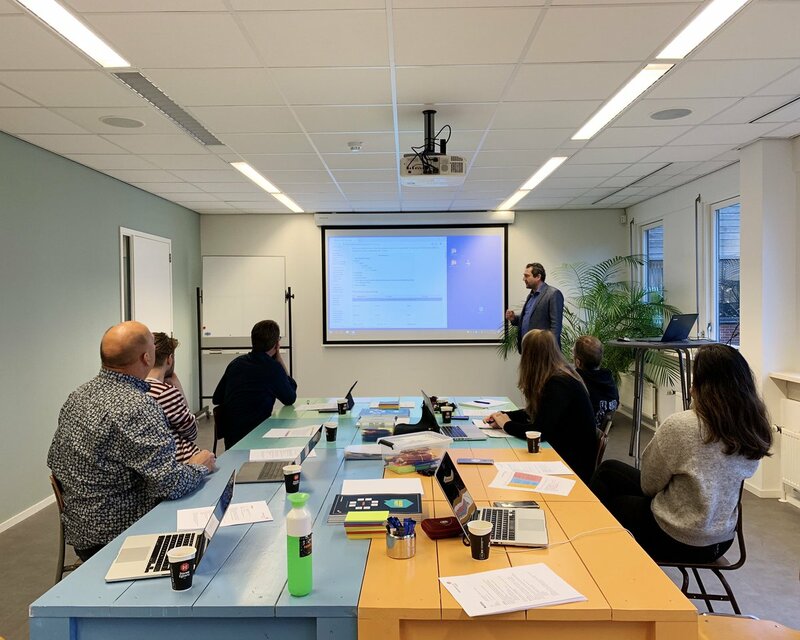 Since then several instances of the project have been delivered, and the team noticed a pressure to oversimplify it into something focused solely on the act of digital making. It’s a type of greedy reductionism, to have something novel fit into the existing, and judge it not by impact but by needed effort to deliver the project. This often means it needs to be reduced to a point where it no longer requires change of those doing the projects, and the cheapest form in which it is believed the same results can be claimed on paper. Even if the stated purpose of the project remains to create that change. As I said last week it is a luxury to sit down with dedicated people and document all we know and experienced around these projects, so we can build new narratives to help others embrace its core tenets and not oversimplify. Even though working with Mediawiki is a pain, we’ve put together a strong amount of material. In the coming weeks we will be slowly detailing and shaping that to turn it into useful material for different stakeholders for these projects (our team, our pool of facilitators, library staff, directors, school leaders, teachers, children, their parents and the people in their neighbourhood). Early next year we’ll get together again to reflect with a wider group of stakeholders on whether we need more or different things to add. It was good to in a sprint like this create a living document we can now take forward at a more calm pace. Our team every time is in awe of the energy the projects create. During the pilot project we were regularly cheered and applauded when arriving for a session with the class of 10 year olds. In the video below from the end of a project in the past days, our facilitators were sung to each in turn by the participating children. I an open letter (PDF) a range of institutions call upon their respective European governments to create ELLIS, the European Lab for Learning and Intelligent Systems. It’s an effort to fortify against brain drain, and instead attract top talent to Europe. It points to the currently weak position in AI of Europe between what is happening in the USA and in China, adding a geo-political dimension. The letter calls not so much for an institution with a large headcount, but for commitment to long term funding to attract and keep the right people. These are similar reasons that led to the founding of CERN, now a global center for physics (and a key driver of things like open access to research and open research data), and more recently the European Molecular Biology Laboratory. At the core the signatories see France and Germany as most likely to act to start this intra-governmental initiative. It seems this nicely builds upon the announcement by French president Macron late March to invest heavily in AI, and keep / attract the right people for it. He too definitely sees the European dimension to this, even puts European and enlightenment values at the core of it, although he acted within his primary scope of agency, France itself. Notes, notes, notes. Centuries of notes. We visited “O’Hanlons Heroes” yesterday, in the local natural history museum (Twentse Welle). In this exposition by Redmond O’Hanlon, in parallel to a previous tv series, he follows in the footsteps of all his 19th century explore heroes. 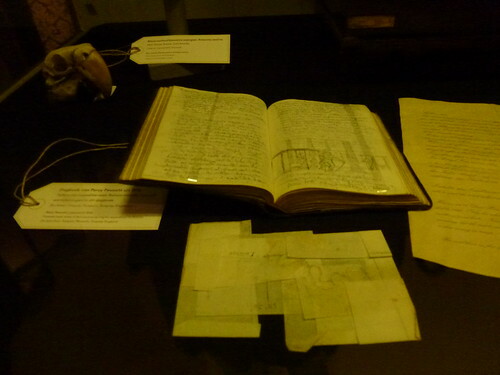 What jumped out for me, once again, from all the displays, is that taking notes of each and every thing is a key habit. Because you never know what will have meaning afterwards, or which patterns jump out at you when you take a step back. A good reminder that all those notebooks, the 20.000+ photos, all the stuff in Evernote, 12 years of blogging isn’t useless. Even if for most of the time I never look at it. It is raw material. Taking notes are for taking note. An interesting paper by Ben Worthy has been published, looking at the impact of open spending data in the UK in terms of transparency and accountability. The abstract says the impact is currently very limited “as it lacks the narrative or accountability instruments to fully bring such effects. Nor has it created a new stream of information to underpin citizen choice, though new innovations offer this possibility. The evidence points to third party innovations as the key. They can contextualise and ‘localise’ information as a first step in more effective accountability. Definitely makes sense to me. Context, narratives, and additional tools with which new stakeholders can be reached and brought into the discussion, are needed. Just as much as we constantly need to try and avoid making assumptions when publishing data, as it will create a bias towards what type of usage will be likely to occur, framing it, or setting boundaries on the evolutionary space available as it were. Whether it is open data or big data, the effects are similar, though some such as context are even more pronounced in big data. It is why, when working on open data with local governments, and positioning it as a policy instrument, I spend energy on providing context, seeking out new or unusual stakeholders to stimulate them to take a look at the data, and to create lots of new conversations between them and the data holders. Aiming to create an ecosystem. In a sense, “it takes a village” to create the impact we are aiming for. Yesterday and today I am at the ARAS Community Event Europe in Frankfurt, Germany. The conference brings together people around PLM (product lifecycle management). I was asked to provide the opening keynote. Digital disruption and the new (or rather often not so new) methods we have available to deal with that were the topic of my talk. Starting with Steve Denning’s recent observation that we’re in the Golden Age of Management now as we are setting the scene for what management looks like in the networked age, I talked about the unintended impact of internet and mobile communications, that make a range of existing management methods obsolete if not dangerous. Simultaneously I went into the different emerging instruments and methods that are emerging in response. With the rapid proliferation of all kinds of maker spaces in all kinds of forms, are FabLabs still needed? With the ongoing rapid decline in the costs of machines (a full set of smaller sized FabLab machines, including a consumer ready 3d printer, comes in at around 3500 Euro, and prices are still falling, bringing it within household reach in well developed economies), is there still a need for public access to these machines? This is what Jan Borchers asked. Peter Troxler then rightly pointed out that the origins of FabLab are quite technocratic, which explains the starting focus of FabLab on the machines (“All you need to make, almost, anything”). Knowledge sharing, preferably in a global network, was always part of the concept, but it came without emphasis on community and network building to support that. Indeed, most of the early FabLab network was not a network at all, but a wheel with spokes and MIT at the center, and it still usually is that way for any country with one FabLab. The European FabLab conference where this discussion took place, as are they yearly Fab conferences, was an accurate example of that same technocratic focus. To me there are two underserved key parts in the FabLab concept. FabLabs need to be very strongly rooted locally, and actively work to be locally relevant to diverse stakeholder groups. FabLabs need to be networked globally, to cater to the mandated easy knowledge exchanges and for other labs to rapidly build upon experiments and designs from elsewhere and create local impact. And the majority of the FabLabs I’ve encountered are crap at both those two things. Even though for me they are the discerning traits compared to other maker spaces. We’re bad at finding ways of being locally relevant. Bad at attracting a diverse range of stakeholders for whom the FabLab is a hub and exchange. The financial dependence on public funding, or financial difficulty in the absence of that, of most BeNeLux labs are a case in point. The regularity with which I see commercial questions to those same FabLabs being met with a ‘no’ because they are simply not prepared for such questions are another, one I find particularly shocking as it proves there is demand. A lot are in the habit as well of cannibalizing the free access in an attempt to generate revenue, which by destroying the prime directive of the FabLab concept actually increases the threshold for new makers to come play and experiment and thus serves to reduce the revenue potential, instead of increasing it. Almost none take lateral approaches to generate revenue and be a stable and energy giving node in the local ecosystem. We’re also bad at globally connecting. Most FabLabs I know are so busy with themselves that they hardly take time to work with other FabLabs, even if they’re neighbours. The yearly, highly tech focused global meet-ups, do not a global network make. The low point I experienced was when a FabLab was in trouble, and when I approached them about it, told me they ‘would be participating in the community again when they had solved their problems’. If there were indeed a community wouldn’t they have known to ask for support instead of withdrawing? There is little to none routine interaction between a wide range of labs, resulting in shared efforts etc. And here I am just talking about FabLab staff not interacting, and not even looking at what actually would be needed: various FabLab visitors using the FabLab network to connect and work with others. Meanwhile the FabLabs are successful in proliferating across the globe, so much so that the number of FabLabs roughly doubles every 18 months. They are also changing shape from a few big costly ‘flagship stores’ to include a larger number of grassroots smaller labs (reinforced by the downwards price pressure on machines). In that exponential growth lies FabLabs’ biggest challenge: there are now more FabLabs joining the network than currently are in the network. And in the next 18 months that will happen again, more new labs will join than already exist. Even though that exponential growth will taper off at some point, for now it is the biggest challenge: how do you welcome and engage a majority of newcomers into an existing network and community that is very poorly equipped and developed precisely on the point of network and community building? Openness is a consequence of adopting a network metaphor for our societies. It is limited by what facilitates healthy functioning groups and individuals. That’s the balance to strike. There seems to be a conference on Open [Your Fav Topic Here] just about every day somewhere. Open Data, Open Access, Open Economy, Open Design, Open Source, Open Manufacturing, Open Innovation, Open Government, Open Science, Open Knowledge, Open Courseware, Open Corporates, Open Hardware, Open Energy: Open Anything and Open Everything. For those not easily adapting to change, this is good news: Open is clearly a hype, so it can be ignored without peril, and it can be fought by denouncing it as empty hype. For those embracing Open, this is also good news as it seems openness is a worthy goal in itself, a panacea, on the brink of going mainstream. Monster killers and monster embracers alike are missing something I think. To me something more profound is happening on the middle ground between those two extremes. Internet and mobile communications are a pervasive new infrastructure. They connect people, not geographic endpoints (as all other infrastructures do), and do so instantaneous and globally. New infrastructures push their principles as dominant metaphors on other areas. Railroads pushed ‘railroad time‘ upon our daily lives and rhythms. Internet is pushing the network metaphor upon us. That network metaphor impacts our organizations, work, and our social life. The network metaphor is making itself felt offline just as much as online. It increases complexity through its myriad of newly created pathways and feedback loops, and thus increases the need for resilience of any given node. The network metaphor necessitates openness: in a network you must share, you must be visible and responsive, otherwise you don’t exist and you will not be engaged with. Dark nodes in a network, those that don’t share or even announce their presence, are treated as damage in a network. Traffic, i.e. interaction with other nodes, gets routed around them. Dark nodes are simply ignored. To be part of the network a node must share, must allow others to connect and see what it’s doing. If you don’t open up to the world, you don’t exist to others. If you don’t open up, you will not be resilient, you will not be able to deal with increased complexity. Open is not a hype, it is a prerequisite for, as well as a consequence of, a networked society, induced by our new infrastructure. Open is not limitless however. It is bounded in order to deal with complexity and by our own humanity. 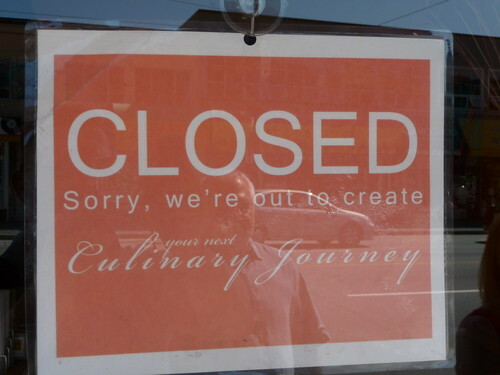 Being closed for good reasons. Dealing with complexity is balancing being very open to the world, with maintaining strict boundaries. Lines in the sand, that you don’t allow to be violated without consequences. Bumping into those boundaries will not feel very open at all to those doing the bumping. I am very welcoming to visitors in our home, but you will be made to leave when you don’t respect it is indeed my home. While the network necessitates openness, the resulting complexity of global connectedness necessitates boundaries at the same time. Without setting boundaries a node is fully transparent, which makes it just as invisible to the network as a dark node. It is the difference between Project X and the open invitation to my birthday unconference. 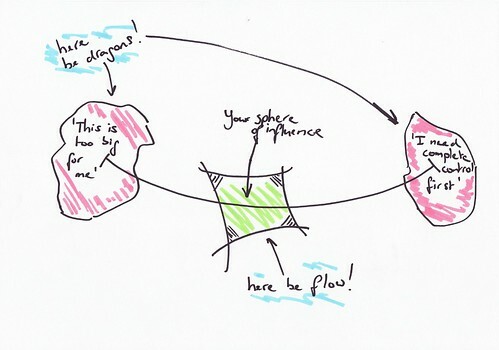 In many interactions being shielded from others is needed to get somewhere. If something makes you feel vulnerable (some learning situations, negotiations, idea generation etc come to mind), you can’t deal with it in a very public setting, but need a space in which there’s more privacy. It is a deliberate short reprieve from the social pressures that would otherwise inhibit you in a negative way. Results of that seclusion, or the fact that you are entering such a more closed off space for a while, could very well be open. Healthy communities of practice can be characterized by the way they deal with rhythms, spaces, evolution, value, excitement vs. feeling secure, internal and external perspectives, and multiple levels of engagement (from lurking to leading and back). Openness can foster a wider variety of levels of engagement (as that is an aspect of networks), bring diversity of perspectives (idem), bring excitement, better allow evolution by exposure, and create more value for all involved. Openness however needs to be limited when there’s a need for more opaque and smaller spaces, and to make group members feel secure enough to engage. It needs to be limited where it diminishes value for all involved e.g. when it dissolves a groups cohesion and identity or that of its members. Openness needs to be the default: we live in a networked world and open sharing is what makes networks function. Openness is limited by our humanity, for the health of individuals, groups and communities. That limitation ideally is temporary and clearly demarcated. Last week I co-hosted a session between a number of public sector data holders and a handful of the biggest existing players in the market re-using that same type of data. I’m deliberately vague about who those market parties were, and what type of data is involved, as it is not really relevant to my observation, and there is a still ongoing conversation with those organisations. The session started from the idea that the public sector data holders could provide a much richer and real-time form of data on top of the usual stuff already available to third party re-users. We thought to discuss how that richer data should be shared to be easily used by the existing market. As it turns out Christensen’s innovation theory seems to apply here: big vested interests are not in a position to innovate, as all their processes and resource allocation is geared to doing well or better what they are already doing well. Even if all people involved want it to be different, the existing structures will usually dictate otherwise. Case in point here was that the existing re-users currently have a lead-time of at least 6 months to incorporate new data in their products, and are not at all ready to handle real-time info (unless that real-time info is merely an overlay on their existing data). Also the users of their products may have up-date cycles of 2 years, rendering any real-time updates to their data useless. The only third party in the room that seemed to say ‘bring it on’ was an open source community initiative. They however, as Christensen also predicts, will not be perceived as any threat to existing up-market players. At least not until it’s too late for them. It is this open source alternative that is also most likely to reach whole groups of new types of users of the data. It’s interesting as well to see again that ‘release it and they will come’ is not a viable way to open government data. Releasing it needs to be accompanied by these type of conversations, and capacity building by (new) market players and citizens, so that the potential of open data can be realized. At the yearly conference of the Austrian association for trainers in basic education for adults, I gave the opening key-note this year, as the theme was web literacy. The conference, titled Zukunft Basisbildung, was hosted at the Joanneum university for applied sciences in Graz, where Heinz Wittenbrink is teaching web literacy and on-line journalism. We’ve known each other for years, and every now and then he kindly involves me in some of his interesting work. It’s been a while since I talked in an education oriented setting, and the first time it was about the question what net savviness should be part of the very basic skills of adults for whom reading and writing is already an obstacle. I focussed the talk around how my own learning has evolved over time, towards a fully networked learning style, which tools play a role in that, and how I make sense of that evolution. My key point, that network awareness should be more central in how we look at social media and web tools in general, as the tools will be different next year and in two years, seemed to go over well. Also that ‘network awareness’ is something that can be maybe more easily become part of ‘basic education’ for adults as it builds on the very core of how we humans interact socially. It just applies those skills in a bit more purposeful manner, steered by a stronger dose of self-reflection. We need this type of learning more than ever, as we find ourselves in complex situations much more often than before (due to our increased global connectedness and resulting speed and information abundance). There lineair learning styles don’t work (codifying knowledge, learning by absorbing theory, practice in artificial settings, then apply) for lack of predictability in complexity, and therefore we need to rely more on learning by probing and doing. My experience at Rotterdam University and primary schools in my region, as well as the courses I thought at the local university, suggests that a more exploratory learning path, that includes other stakeholders (students, other teachers, professionals, etc.) not just means co-creation of the learning experience but also by default leads to more authentic learning settings: probing the real world. My talk is available on video, it is in German how-ever. My slides are available and embedded below. Looking Back On 2011: Quite A Ride (again…)! Last year following my client-turned-friend Ernst Phaff’s lead, I posted a list of things that in 2010 gave me a sense of accomplishment, the Tadaa!-list. 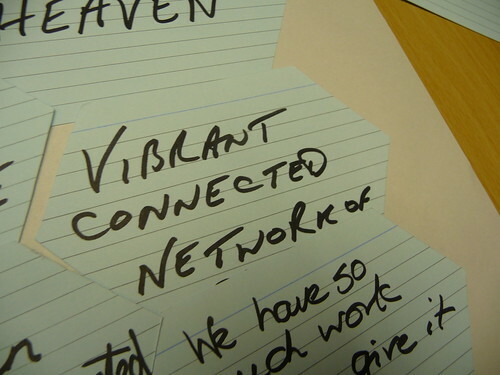 As I wrote then “As a ‘knowledge worker’ the boundaries of work have become all but invisible, and over the course of a year I work on so many different things that it is easy to forget I what I actually did. The “TaDaa!”-list is a way of resurfacing the things that happened [..]” and listing for myself what was accomplished, what I enjoyed doing. Doing this, going through my calendar looking at what happened in the past year, already last year struck me as very useful: you simply forget so much along the way, as you respond to new things, and get inundated with new stuff. In 2011 I worked 2372 hours, way too much to my liking, a number that guarantees I loose track of the details of the things I did, obscuring the accomplishments behind a list of still-to-do’s and things to improve. I decided then to do this again for 2011 and put it on my ‘yearly review’ task list. So, in no particular order, and sticking to professional things mostly……. Here’s my Tadaa!-list for 2011. The Dutch national government data portalI wrote the plans for in 2010 got formally launched in September 2011, after being in beta since January 2011. I helped write an Open Data Motionfor my home town, and saw it adopted by the City Council nearly unanimously. Spent a week working from and sightseeing in Berlin with Elmine, where I also gave a well received talk at the Cognitive Cities Conference, on Spicing Up Your City With Open Government.. It was an inspiring event bringing many new sparks. 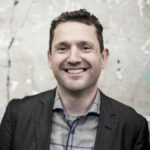 Ton Zijlstra at Cognitive Cities Conference from Cognitive Cities on Vimeo. Edited and published the second edition of the FabYearBook. Made a living for the fourth year being self-employed, while working in what is basically a new market (open data consultancy). Studiously ignored the sensationalist headlines of impending global economic doom, spending energy instead on helping build the structures, scaffolding and systems creating new and alternative ways forward. Sphere of influence and all that Jazz…. Presented at a great Spanish conference on digital citizenship in beautiful Donostia (San Sebastian), where I further explored a train of thought I started at Reboot in 2008 on attitudes and skills in dealing with digital disruption, this time in order for our public institutions to survive, as survive they must albeit changed. Did a project together with Elmine for the European Commission, running a video competition for the Digital Agenda Assembly. Enjoyed working for a client in my home town, in the midst of all the travel around Europe. A rare but pleasant treat to be able to cycle to a workshop session, and not taking a plane or train. Got to be there for friends in times of need. Thankful they let me be there for them. Sat on the jury of the OpenDataChallenge.org, that saw 430 entries. Mused about speeding up my actions, extending my range, while taking it very slow for three weeks in the French Alps. Enjoyed the heck out of the e-reader Elmine gave me for my birthday. I lost the life long habit of avid reading for a while in 2010, this got me back into it. Thanks dear. Spoke at the EU Ministerial Conference on e-Government in Poznan Poland, on ‘making open data work‘ for government itself. Started working in earnest with Harold, Niels, Erwin, Tony and others, on projects around making sense of complexity. 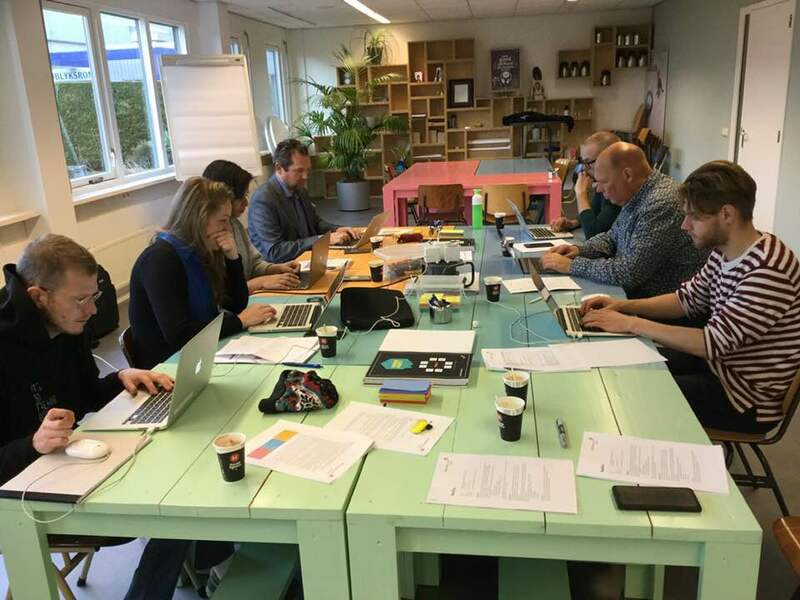 Brought together a dozen Dutch city governments to exchange their experiences on opening up government data, and experimenting together in bringing it forward. Did three sessions at the Open Government Data Camp in Warsaw, one on how open data is an opportunity for local government to reinvent itself, save money and crack complex issues. Got to work with long-time fellow Reboot-friend and co-shareholder of the Coworking Boat PAN, Peter Rukavina on a project for a client. It’s great to work with people like that. 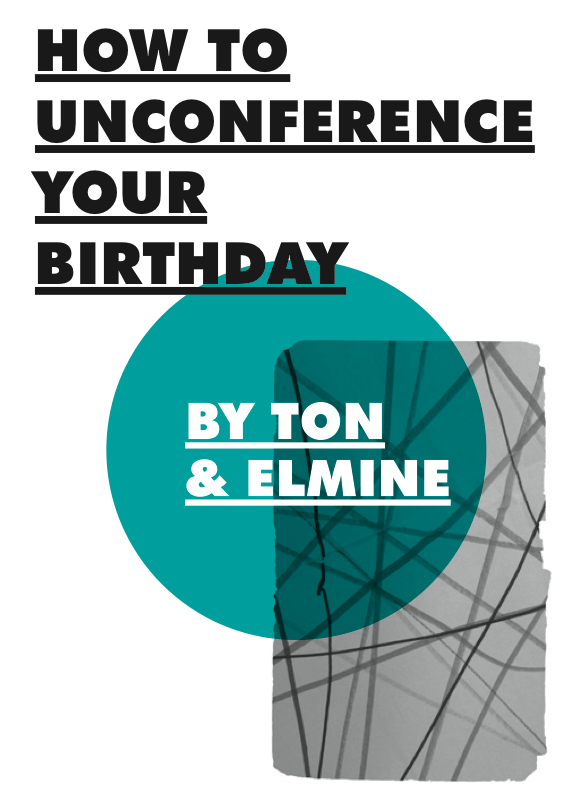 Elmine and I published an e-book “How to Unconference Your Birthday” and sent out special cards to all that attended my Birthday Unconference the year before. We asked the cool people at BuroPony in Rotterdam to do the design. Find the download link in the book’s Facebook page. Creating the book and having it in our hands, giving it to all the awesome people who were there in 2010, was so much fun and rewarding. An Epic Sh*t Multiplier, as we called it on my birthday then, and in the book now. That’s the list. I got to work on cool projects, travelled to new places before returning home, and above all got to work with the people I want to work with. More importantly, 2011 was a year that reinforced the notion that it’s your relationships that count, and that the journey is its own goal. Whether it’s grieving together, celebrating together, or even both at the same time, those are the moments I find intense beauty in being with friends. Onwards! 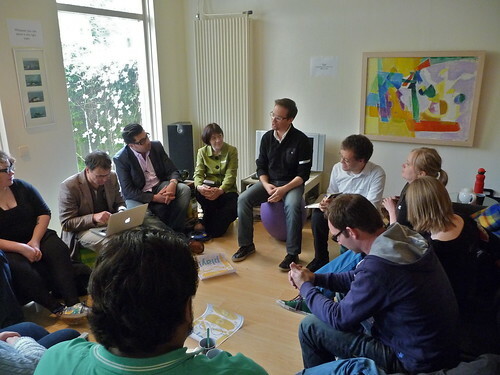 Last year, when I turned 40, Elmine and I organized an unconference to celebrate (of course we also had a bbq party! ), and we invited people from our various circles. The topic was ‘Working on Stuff that Matters‘, ‘WSTM’. Some 40 people participated in the unconference, some 20 workshops were held, and it was an event that is still giving us energy almost 18 months later. We always wanted to create something tangible as an outcome of the event, to create an ‘Epic Sh*t Multiplier’ as we called it on the day. We created an e-book, explaining ‘how to unconference your birthday’. The text was written during the summer of 2010. A professional designer (BUROPONY in Rotterdam, hire them, they’re great!) created the book itself in May/June this year. 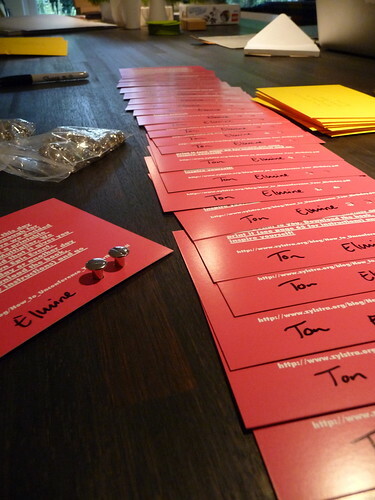 In the past days we sent out cards to all participants of the unconference to allow them to download the book. We’ll publish the e-book itself on-line later. Right now it’s a gift for those who attended. A small token of our appreciation for the big gift they gave us by attending the unconference, and the energy and inspiration that is still generating for us. Thank you. Below are some pictures giving you a sneak preview.